New York City has a long history of being the native stopping grounds and home to artists with a lot to say. Despite the recent closing of live performance spaces like CBGB in favor of restaurant boulevards, bands like Rejectionist Front prove that our city doesn’t sleep, nor turn a blind eye to injustice. Consisting of band members Michael Perlman, Lincoln Prout, David Dawson and Tony Tino, Rejectionist Front has become a global phenomenon among the socially aware by its use of musical activism. Rejectionist Front are not only veterans of their craft musically, but have performed at venues throughout the US and Europe including BB King, Webster Hall, The Concert Hall, The Highline Ballroom and the Festival For Tibet. 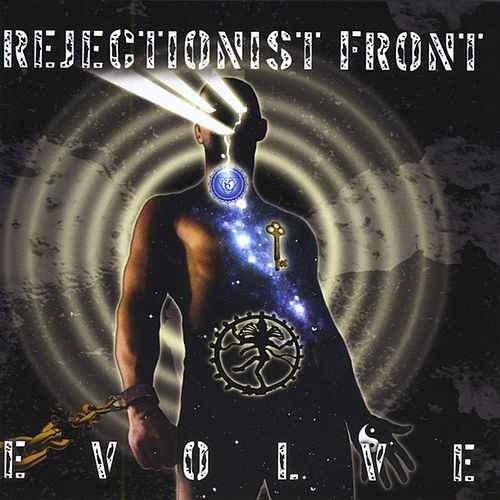 The group’s single, All I Am, taken from their full-length album Evolve, is a spectacular effort that really demonstrates the power of Rejection Front’s music. All I Am is a high-energy track that’s rock-guitar heavy and bursting with energy at the seams. Although Rejectionist Front’s repertoire of music is filled with socially conscious songs, the group is far from preachy and redundant messages. In fact, I find the song All I Am to be an honest self-portrayal the band’s overall theme, as the hook of this track makes the plea; “All I Am is just a man who can make you believe.” We couldn’t ask for anything better.